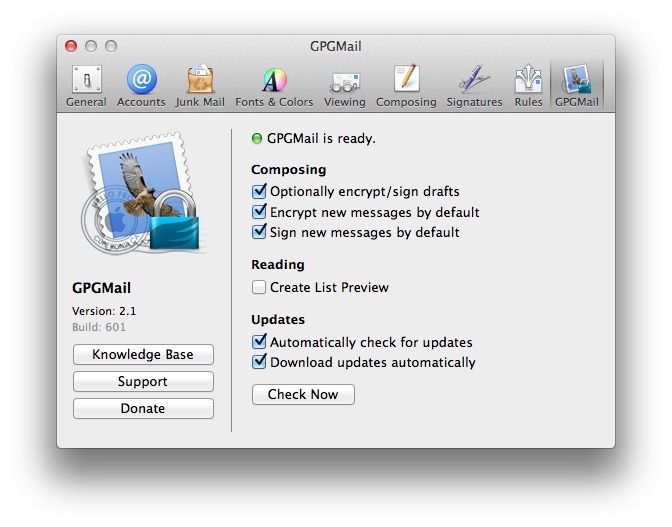 Open source plugin for Apple Mail. Is there a better alternative to GPGMail? Is GPGMail really the best app in Email category? Will GPGMail work good on macOS 10.13.4? GPGMail is an open source plugin for Apple Mail. Encrypt, decrypt, sign and verify mails. Note: Development of GPGMail is not discontinued. The software is part of GPG Suite, and new versions are provided via that installer.